Featherweight Power Perch--The easiest way to install a Raven to your sled. Just screw it down and fly! Featherweight Avionics Bay Kit-- Assemble your world-class av-bay in 5 minutes! Available in 24mm, 29mm, and 38mm. These are all of the materials included to kit your own Featherweight Altimeters Av-Bay! Magnetic Switch-- An easy and fun way to arm and disarm any rocketry altimeter without needing any exterior holes to be drilled or aligned. 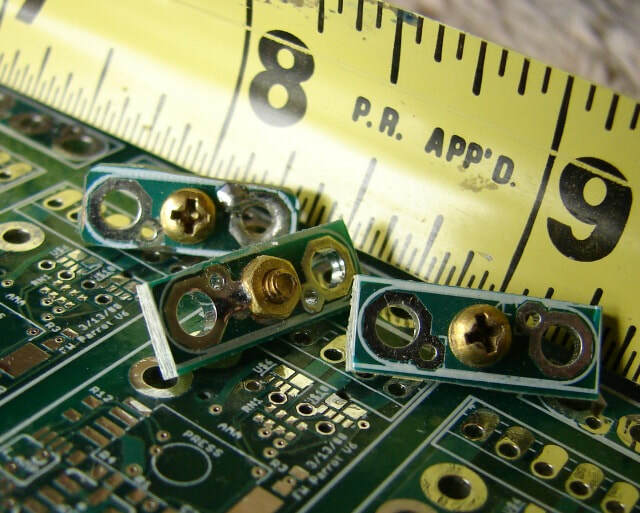 Screw Switches--Ultra reliable and of course, ultra-small. These screw switches are unique in that the underside of the screw head makes a reliable, preloaded contact to complete your circuit when it is snugged down. Battery Charger--Similar to the built-in version in the 38-mm Av-Bay, this charger can be used to connect a battery for a 24 or 29-mm Av-Bay to a USB mini cable. The easiest way to install a Raven to your sled. Just screw it down and fly! -Provides a built-in connector for your Raven. Just tighten the Raven's screw terminals, plug in the battery, and the electrical connections are done! -Provides deployment charge electrical terminals for all 4 Raven outputs, with convenient double-wire terminals. 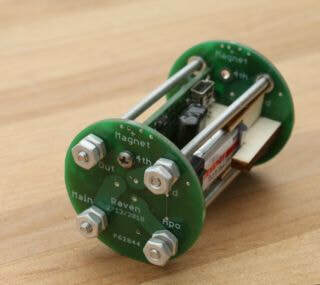 -Includes a magnetically-activated arm switch works like magic to turn your Raven on or off. No need to align and drill your airframe for arm switches. 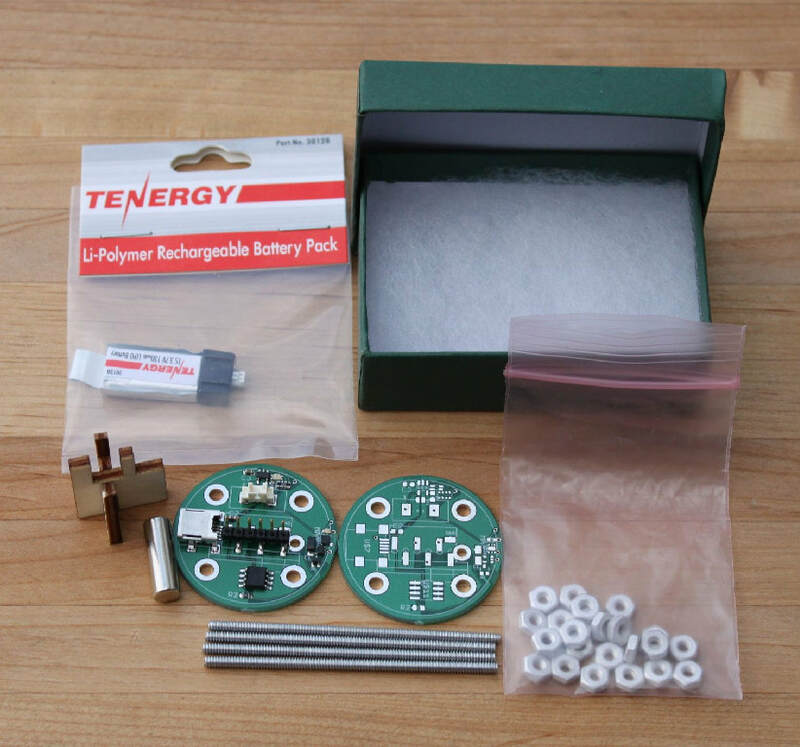 -24 grams including altimeter and battery, about half the weight of a 9V battery alone. Assemble your world-class Av-Bay in 5 minutes! ​-Provides a built-in connector for your Raven. Just tighten the Raven's screw terminals, plug in the battery, and the electrical connections are done!-Provides deployment charge electrical terminals for all 4 Raven outputs, 2-3 of which are available at both ends of the Av-Bay, depending on size selected. Combine that with the Raven's ability to work with either end up, and you get the most flexible Av-Bay setup available. -Everything fits into a 2" long coupler. -The Featherweight Av-Bay's short length, low mass, and magnetically-activated arming make it the highest-performance Raven installation available. In May 2010, it was used to fly an I motor over 17,000 feet and a J motor over 22,300 feet! A passive bulkhead that goes at the other end of the Av-Bay. A li-polymer battery capable of 9 Amps of current. Threaded rods and lots of extra nuts. A laser-cut plywood battery restraint. Neodymium magnet with 1" arming activation range. 38mm version even includes a built-in battery charger, available separately for the 24mm and 29mm versions. The magnetic switch is reliable and easy to use in any rocket installation without needing any exterior holes to be drilled or aligned. -Current capability of 20 Amps for one second, or 12 Amps continuously. 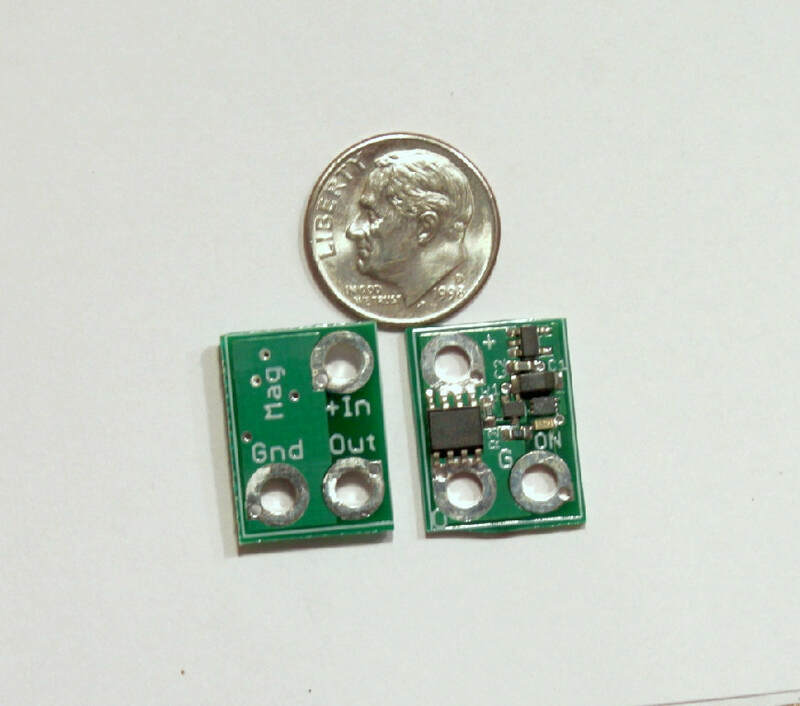 -Low quiescent current draw of under 3 micro-Amps. This switch can be left in standby for over a week without significantly draining even a tiny 135 mAhr lithium polymer battery. -Each switch is individually tested. 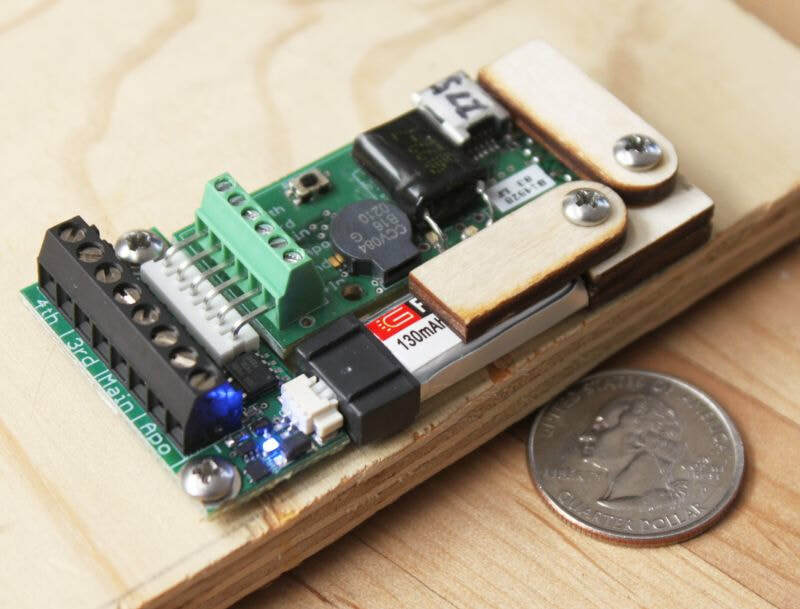 ​Just connect the battery to the + and Ground terminals, and connect the altimeter power to the output terminal. The switch is fun to turn on and off even when it’s not arming a rocket, working with a wave of a magnet as if by magic. ​Ultra reliable and of course, ultra-small. These screw switches are unique in that the underside of the screw head makes a reliable, preloaded contact to complete your circuit when it is snugged down. These switches are great for adding another series switch to airstart igniters for an additional layer of safety. In that application, close the switch when the rocket is vertical, after the electronics are working and the deployment charges are armed. The Raven will beep out the change in arm status for the airstart igniters. ​This charger is similar to the charger that is built-in to the 38mm Av-Bay active bulkhead, but in a stand-alone version that can be used to charge the battery for a 24mm or 29mm Av-Bay. Charge your Featherweight Av-bay battery with a simple USB-mini connection. This is the same standard USB connector found on almost all cameras and many cell phones. Includes 2-color charging LEDs to indicate when charger has USB power and when the battery is fully charged. ​Small Raven-compatible battery for powering the altimeter and the deployment charges. Battery capacity and ranges from 130mAhrs to 160 mAhrs, and the original brand may vary. No cell protection is built in, which allows full current to fire the deployment charges. The MCX connector is compatible with all Featherweight av-bays, including the Power Perch, 38mm, 29mm and 24mm av-bays. Note that the higher-capacity versions of this battery are longer, which may require modification to, or removal of, the wooden battery restraints provided in the 29mm and 38mm av-bays. A 400 mAhr Lithium Polymerbattery plus a connector adapter that works with the Featherweight GPS Tracker. 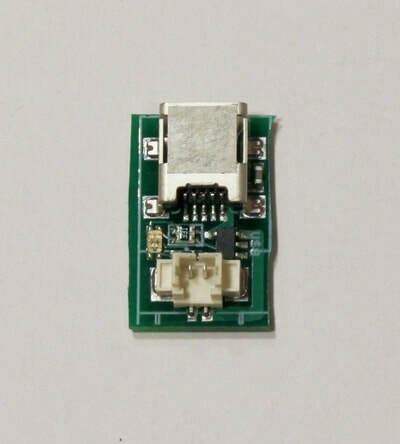 The connector adapter can be installed horizontally as shown in the photo, or vertically. The tracker battery also plugs into the ground station enclosure for recharging in the field. The 400 mAhr capacity provides about 4-6 hours of tracker operation. This cell includes cell protection circuitry that prevents sustained high current discharge, making it good for powering a tracker but unsuitable for use driving deployment charges with an altimeter. 1/4" nut driver. If you don't have one already, get one for the 29mm or 38mm av-bays. It makes assembly much more enjoyable. Stand-alone USB battery charger for use with the 24mm and 29mm av-bays. 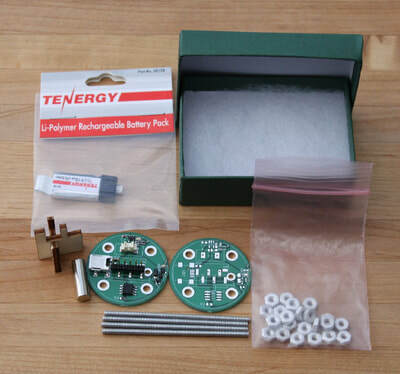 Each of the kit components are also available separately.